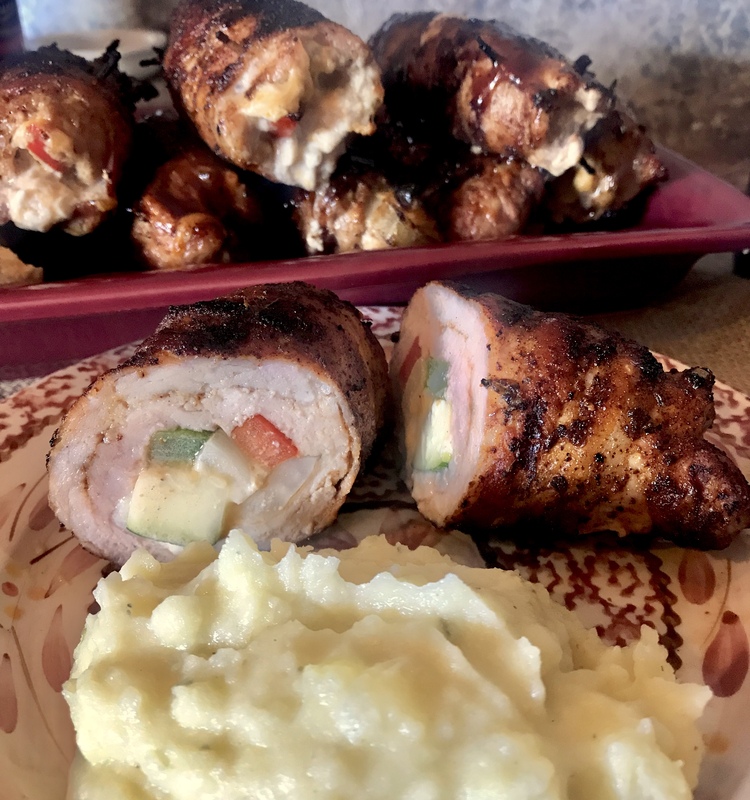 Pork tenderloin doesn’t have to be boring! 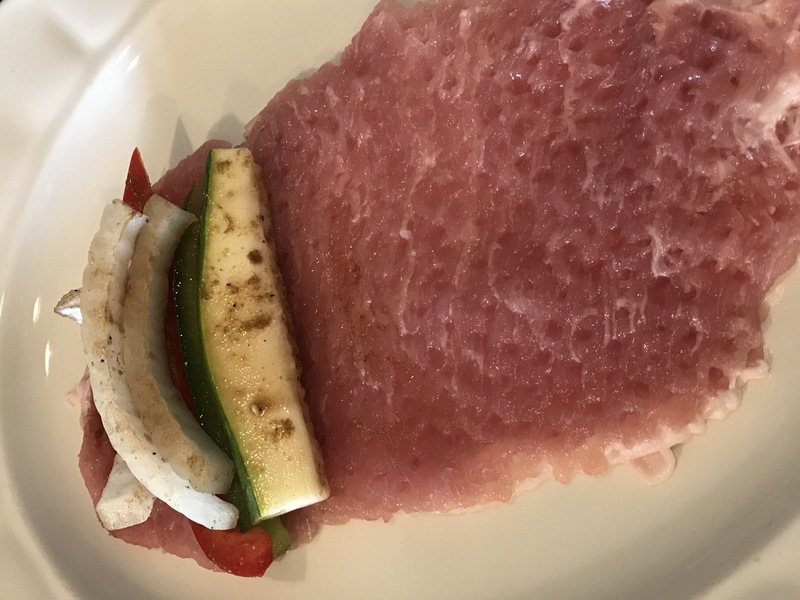 We tend to eat a lot of pork and poultry in our house and coming up with new ways to use cuts of meat makes dinner times a little more interesting. I truly don’t think our kids realize how thankful they should be that they don’t eat a lot of processed food. I guess that’s one of the things that they’ll come to appreciate later in life when they are parenting of their own. 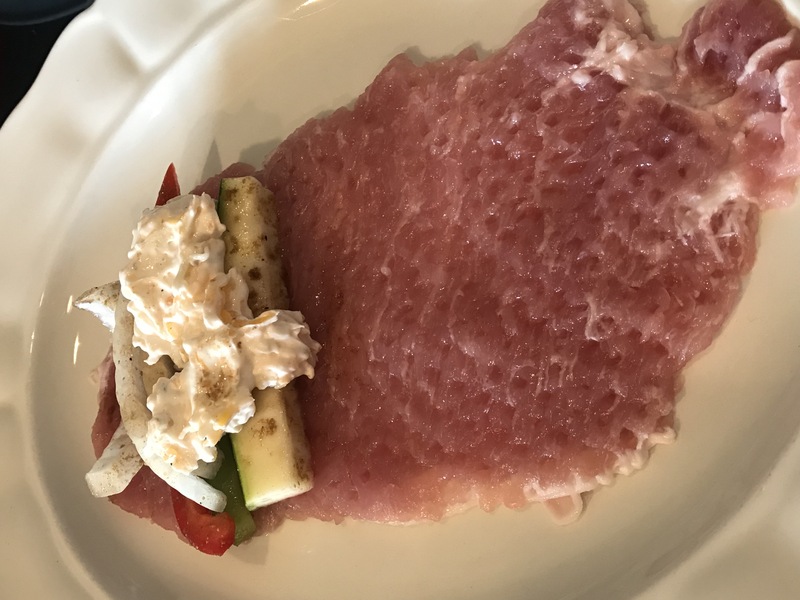 When I was growing up, I only knew that pork tenderloin was a sandwich! 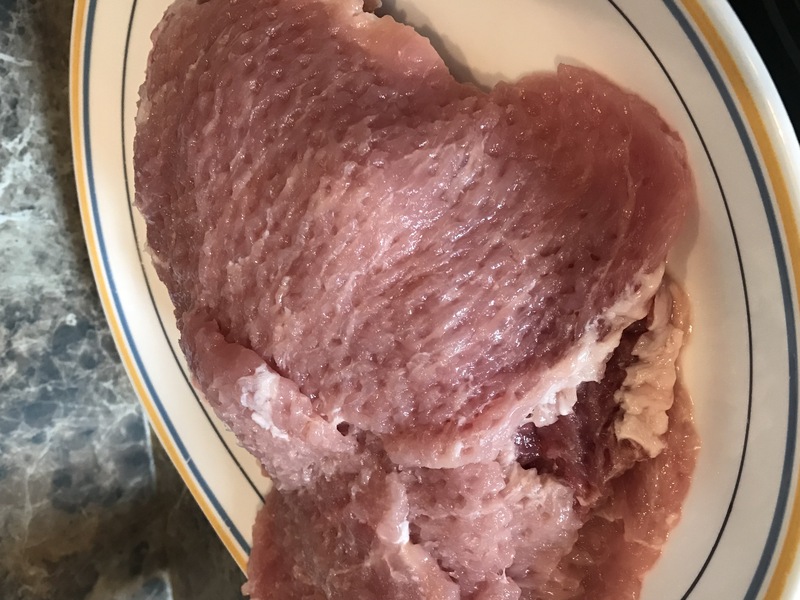 I remember my mom beating and tenderizing these cuts of meat, coating them in egg and cracker and frying them to perfection. There is still nothing like an old-fashioned pork tenderloin sandwich. People will literally travel cities across the country on the hunt for the “best” tenderloin sandwich. 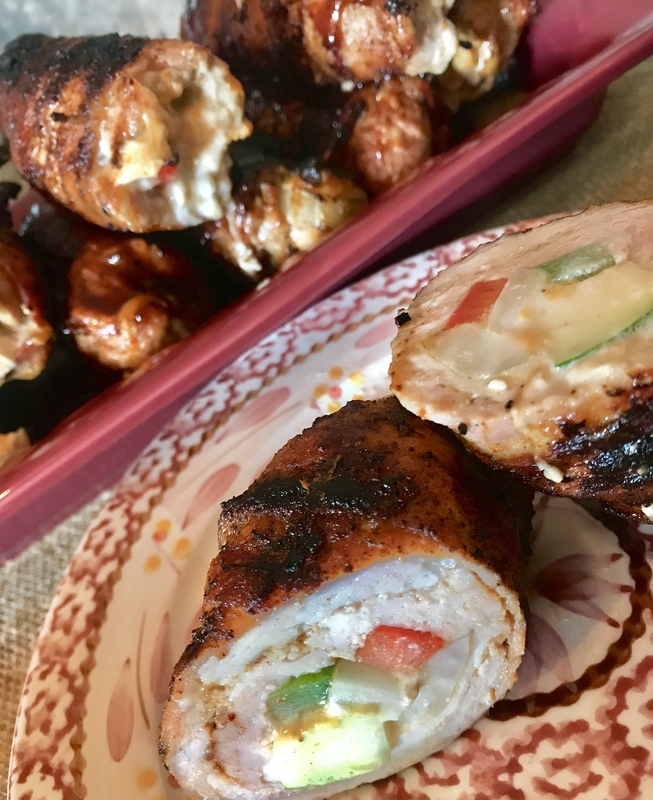 When my husband said he was going to make these, I was intrigued! 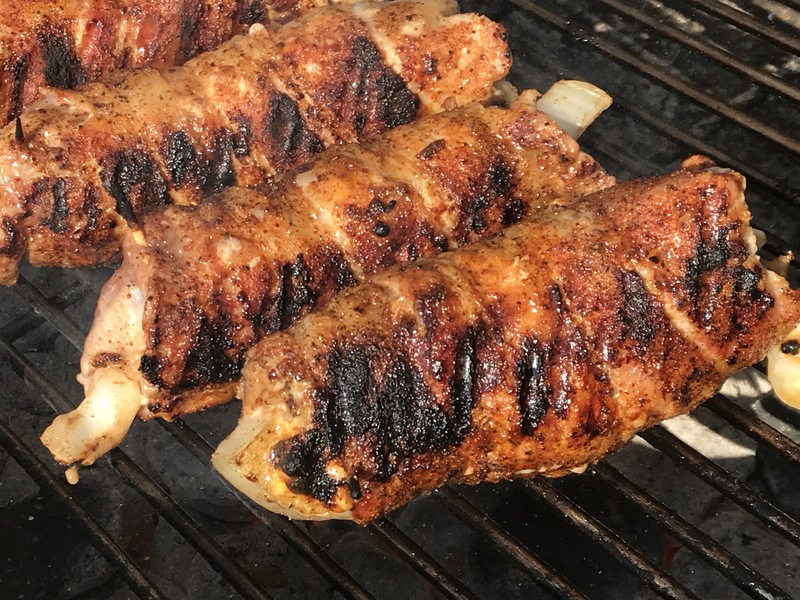 Grilled pork tenderloin with cheese and veggies?? YUM!!! 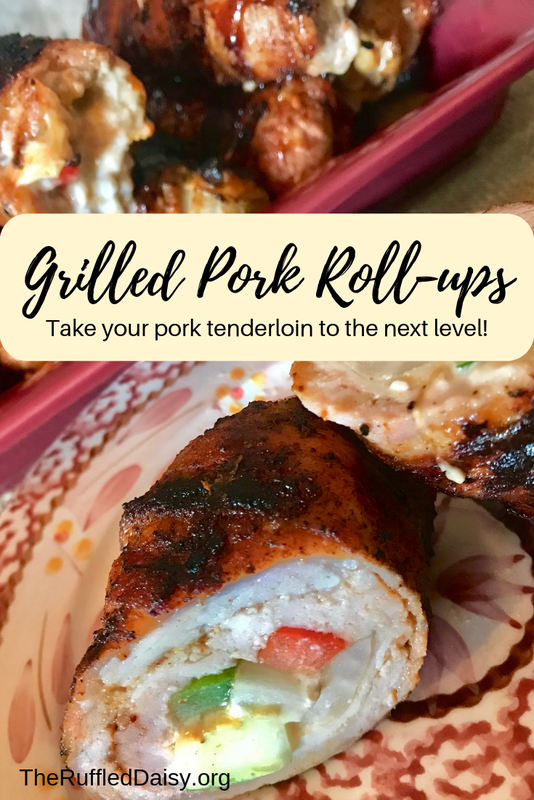 Here’s how you can make your own Grilled Pork Tenderloin Roll-ups! 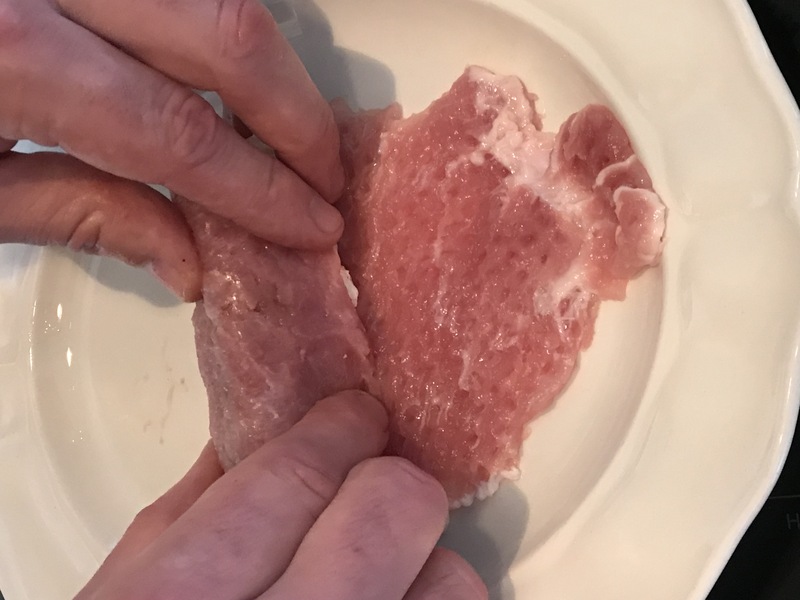 Cut your tenderloin into small sections and tenderize with a meat tenderizer. You’ll want these to be fairly thin pieces of tenderloin. If you have a kiddo (or a spouse) that likes to help in the kitchen, they can be your Sous Chef and start prepping some veggies. 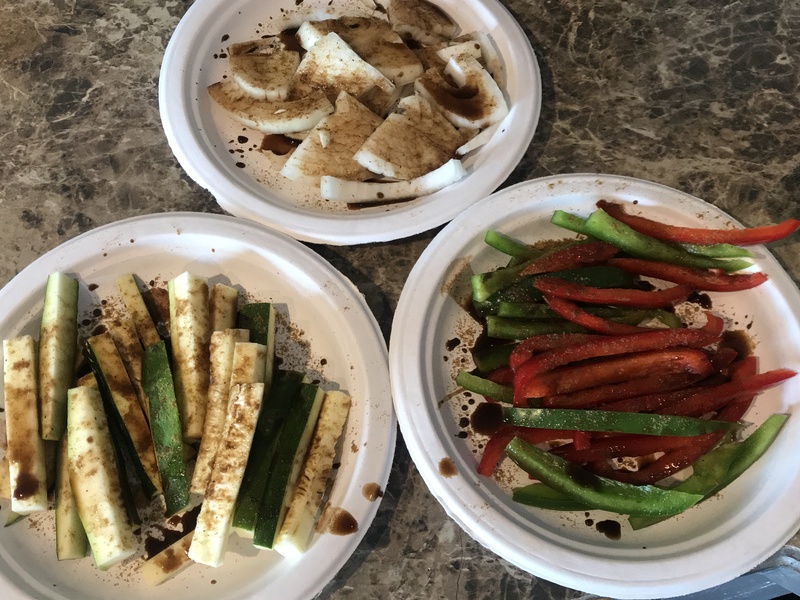 We used onion, red and green peppers, and zucchini. Slice everything into strips so that it can easily be placed in the roll-up. Season your veggies as you wish. We use Worcestershire sauce and this amazing seasoning! 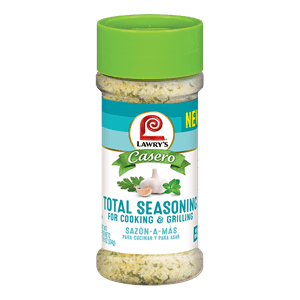 This is my absolute favorite seasoning to use and I use is almost DAILY! 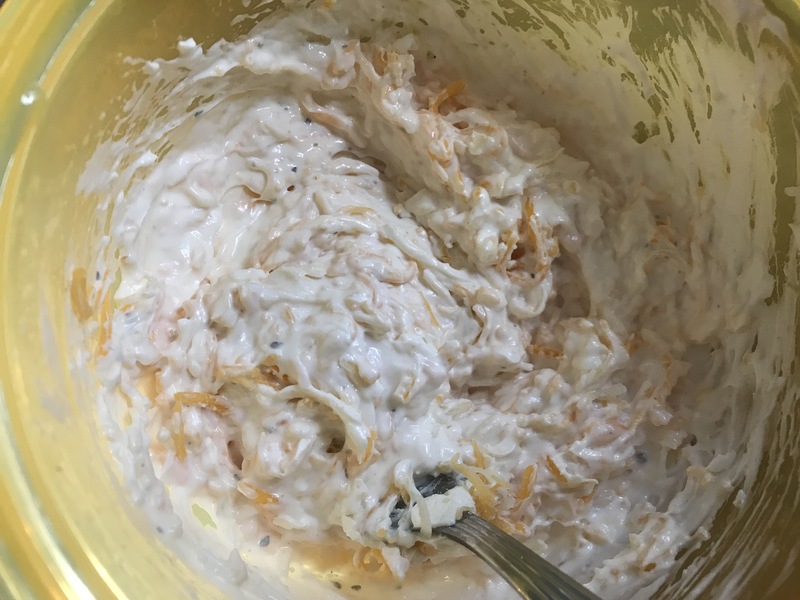 Make your cream cheese mixture using a block of cream cheese, 1/2 cup of mayonnaise, cheddar cheese and salt and pepper to taste. Now the fun part – building the roll-ups! The first layer will be your seasoned veggies. Next, put about a HEAPING tablespoon of the cream cheese mixture on top of your veggies. More or less to your taste. 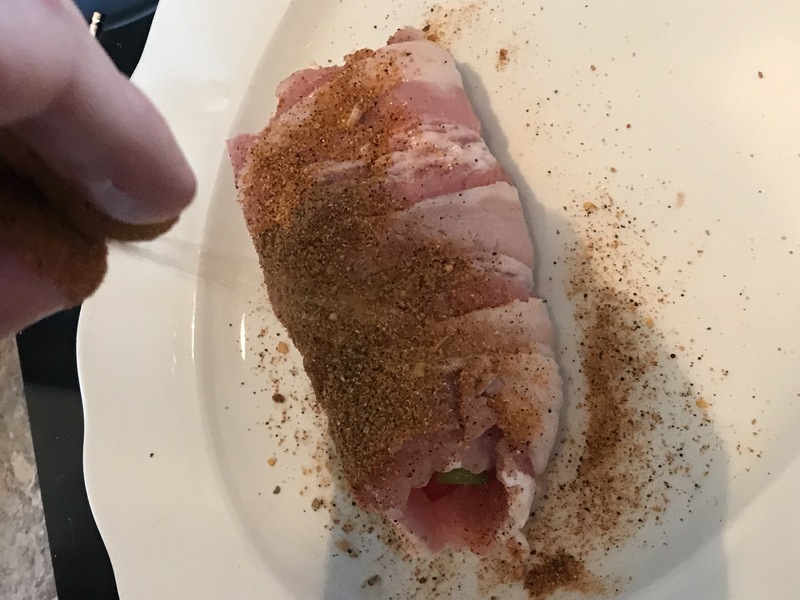 Gently, but tightly, roll your tenderloin. 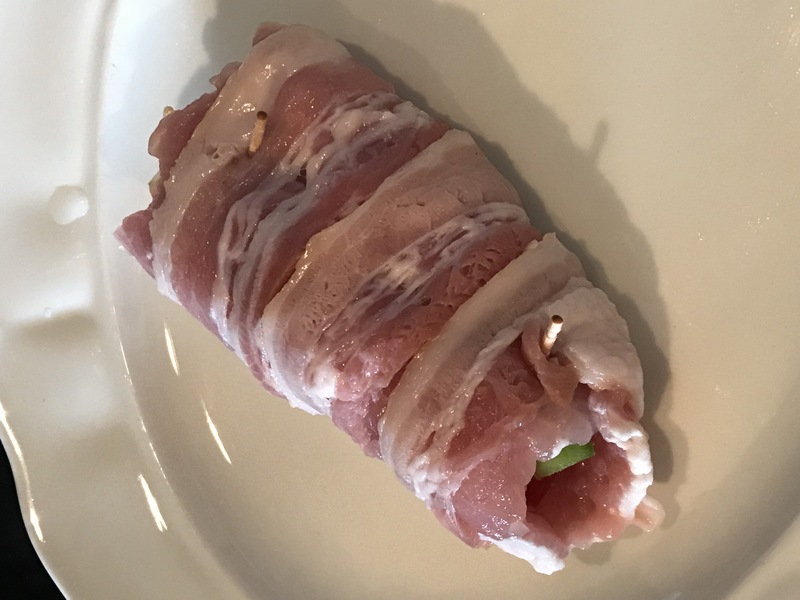 Wrap the entire tenderloin with a slice of bacon and secure the ends with a toothpick. Generously season with your seasoning of preference. We used a mixture of garlic powder, a BBQ rub. 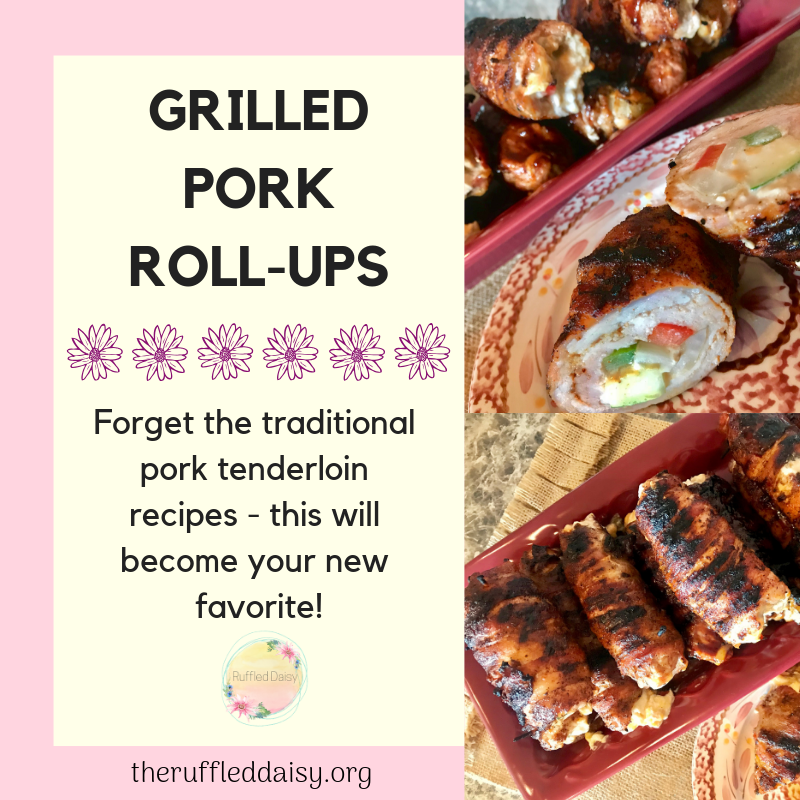 You can change the style of these roll-ups depending on your seasoning – BBQ, Asian Style, Spicy, etc. It’s time to put these babies on the grill. Grill for about 12 minutes or until done. Are you drooling yet?! Just wait….. When they’re done, remove them and let them sit for 5 minutes before cutting into them. This will help the juices soak into the meat so you don’t lost it all when you cut into it. Let me show you one more cause they’re that good! Serve it with any side you want! Our family loves garlic mashed potatoes so that was what was requested by the little’s. 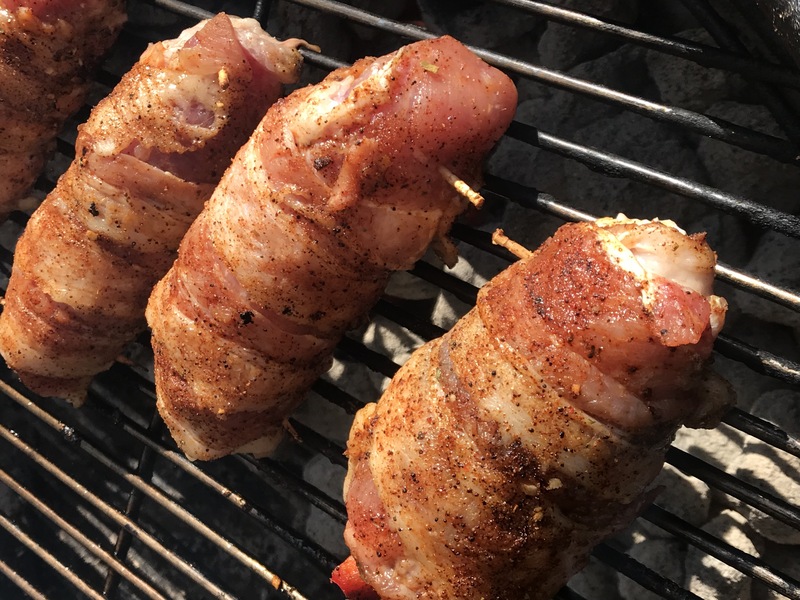 Are you a fan of pork tenderloin? Try out this version and let me know what you think! I can almost best that your family will LOVE it!